Today’s article is on coal as I am interested by this energy source and the possibilities to clean it up. A question of importance as it is the dirtiest energy source to date. According to the data I had access to, coal emits around 975 grams of CO2 per KWh; natural gas, 530 ; nuclear around 20 and solar PV, around 30. Most fortunately there are five complementary means at our disposal to make coal a cleaner energy source that will allow us to keep on using it. First and foremost, coal is not a marginal energy source as it is the second one with 25 percent. (just behind oil which accounts for 34 percent). It also accounts for 40 percent of the electricity generation in the world (IEA, 2004). Many countries like Germany, the United States, China, Australia and India rely on this by more than 50 percent to lit their homes and so on. In the meantime, the global energy demand is due to double by 2050 (source : IEA) ; meanwhile, our greenhouse gases (GHG) emissions have to be halved. And halving GHG emissions is considered by the IPCC specialists as a sheer minimum. Is it impossible ? Not at all if every means at our disposal are used. To me, cleaning up coal can be done by using five means. One is the main and nothing can be done without it. The four others can be discussed about and some might not be used in some cases. These are the basis of a more sustainable world. Energy efficiency policies decided after the oil shocks in the 1970 enabled us to decrease by 50 percent our current energy needs. But, during the past years energy conservation have been quite decreasing, so we have to decide to use a lot more this solution. A multitude of things can be implemented everyday and everybody can act as it is most of the time cheap and it can be a very sound move for everybody. Even if some moves will have small effects on a personal level, widespread they would lead to important changes. (Small things add up ! ). Some other actions like improving home insulation or increasing the mileage of vehicles would have tremendous effects on our global energy consumption. To sum up, energy efficiency and changing our consuming habits can be – and should be – put into action by each and everyone of us. Moreover, it enable governments and companies to save huge amounts of money everyday. To conclude, these solutions are good for both Earth (less energy means less greenhouse gases emissions) but also for your own purse as less energy means a lesser amount of money to pay when the bill comes. Renewable energies are harvested from natural elements and their operating cycles do not emit any greenhouse gases. From solar energies (thermal to produce heat water, photovoltaic to provide electricity, and passive to heat buildings) to other renewables like hydropower, wind energy or biomass, the possibilities are numerous. None of them alone is an excellent answer to our energy needs. As an example among many others, future improvements of technologies will make solar photovoltaïc more interesting as the yield will reach 40 percent soon (cf. this article). Current yields are around 13 percent. PV would enable cities to generate some of the electricity they use on the spot, hence decreasing the loss due to energy transportation. One can imagine buildings, and even cities, where PV would generate an important part of the electricity during daytime. Nuclear is one of the cleanest energy sources when it comes to greenhouse gases as it is estimated it emits nearly 50 times less carbon dioxide than coal-fired plants. According to the World Nuclear Association, hundreds of nuclear plants are to be built worldwide. China alone is due to build more than a hundred reactors. Even if Nuclear power is largely controversial for some people, I personally think that it is a very good solution to our energy needs. It is much less polluting and emitting greenhouse gases than oil, gas or coal. As a matter of fact, it is almost greenhouse gases free. This is why, the French magazine Science et Vie in its March 2007 issue believed it is the only serious contender to coal to provide Mankind the huge electricity amounts it will need. To me, after having implemented the two first solutions that are energy conservation and renewable energy sources, nuclear could be used to replace large coal-fired plants. If coal was to remain an important energy source, it will have to rely massively, and perhaps systematically, on Carbon Capture and Storage as it decreases by 85 to 95 percent the GHG emissions. This technique, albeit in a experimentation phase is promising as it enables to take the emitted carbon dioxide, to liquefy it and to store it in the ground. Currently, there are no commercial power plants using this technology yet, but several experimentations are due to begin as soon as 2008. CCS could have an important role to play in the mitigation of global warming. However, the importance of this role depends entirely on how much we want to decrease our greenhouse gases emissions. The further we would like to go, the more CCS will play an important role. 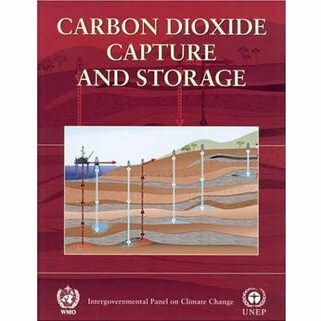 Source : IPCC Special Report on Carbon dioxide Capture and Storage ; page 354 and 355. Of course, no solution is perfect and CCS presents some drawbacks such as the transportation of CO2 before its storage and the increased energy consumption of such a process (around 35 percent). Clean coal is the name attributed to coal chemically washed of minerals and impurities, sometimes gasified, burned and the resulting flue gases treated with steam, with the purpose of almost completely eradicating sulfur dioxide, and reburned so as to make the carbon dioxide in the flue gas economically recoverable. The coal industry uses the term “clean coal” to describe technologies designed to enhance both the efficiency and the environmental acceptability of coal extraction, preparation and use, with no specific quantitative limits on any emissions, particularly carbon dioxide. There are no coal-fired power stations in commercial production which capture all carbon dioxide emissions, so the process is theoretical and experimental and thus a subject of feasibility or pilot studies. It is has been estimated that it will be 2020 to 2025 before any commercial-scale clean coal power stations (coal-burning power stations with carbon capture and sequestration) are commercially viable and widely adopted. Examples of clean coal usage include the proposed US FutureGen plant — planned to be a near zero-emissions coal-fired power plant, but is still years away from commercial operation (expected 2012) and whose commercial viability is unknown. As a result, we can conclude that CCT is not the best solution we have access to and other solutions like energy efficiency and renewables have to be developed beforehand. To infer this article, we saw here that the most promising solutions are already at hand and can be used right now. Energy conservation, renewables and nuclear could help us decrease in a huge way our current and future emissions of greenhouse gases. CCS and CCT are promising solutions but won’t be ready for large scale use by the very next years. And we need to act fast and big. IEA page on clean coal | Page from BBC news.